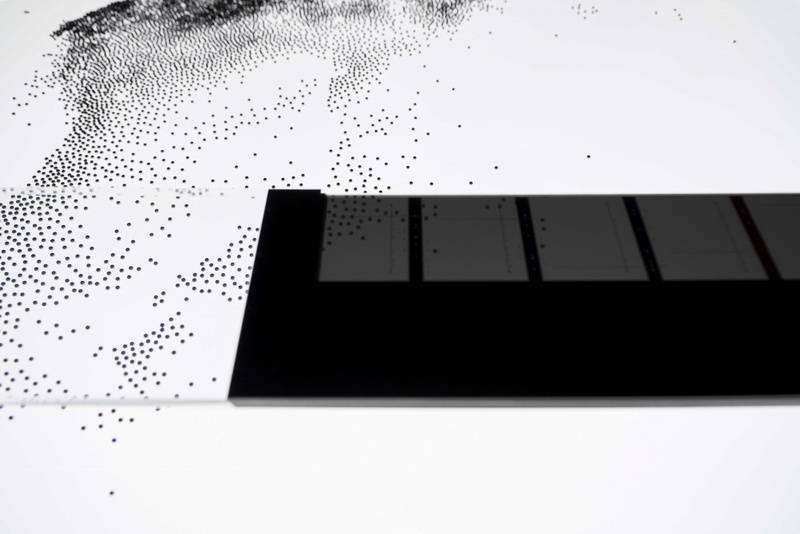 Japanese artist-composer Ryoji Ikeda’s aptly-named art piece looks at the aesthetics behind the scientific theory of supersymmetry. It’s not often that visitors to an art exhibition are asked to think about mathematics and particle physics, but The Vinyl Factory’s newest installation does just this, encouraging its audience to observe the aesthetics of scientific theory. Supersymmetry, a work by Japanese artist-composer Ryoji Ikeda, takes over two dark spaces in a car park in central London, in order to visualise how quantum information theory and particle physics work. 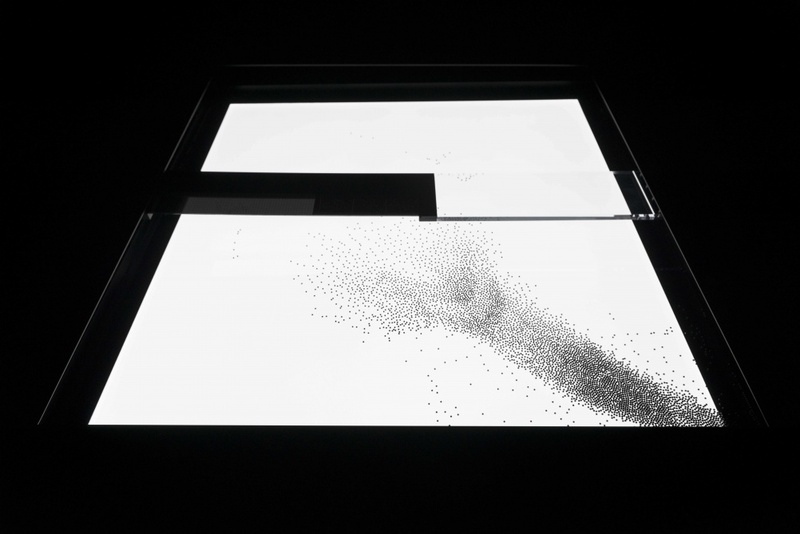 One space is lined with light boxes containing ballbearings, which move in random directions. 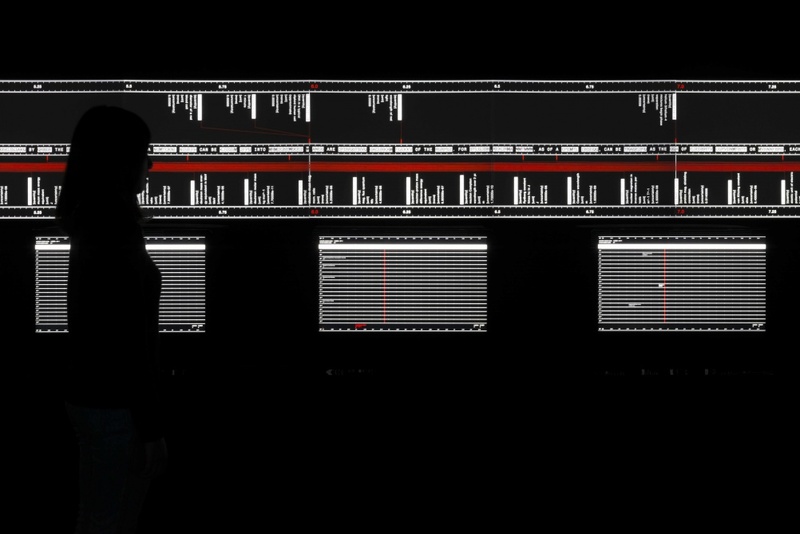 These movements are then translated into data, which appears on two 20m long screens and 40 monitors in the second black space. 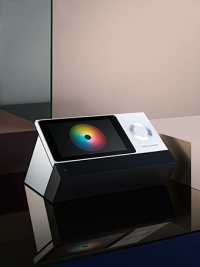 Viewers walk through these spaces, resulting in an immersive experience where sound, visual text and data are combined to show the collaboration of music and visual art through the means of mathematical logic. The installation is based on Ikeda’s research on particle physics at CERN, the Centre for Nuclear Research, where experiments into the mathematical theory of supersymmetry are undertaken – the model that helps to explain why particles have mass. Ikeda is an electronic composer and visual artist who creates live performances and installations using sound, visual art and mathematical theories. Supersymmetry marks a year of installations taking place at the Brewer Street Car Park in London, and will be followed by Carsten Nicolai’s installation presentation of his project unicolor, which looks at a collection of visualisations. Supersymmetry takes place 23 April – 31 May 2015 at Brewer Street Car Park, Top Floor, 2 Lexington Street, London, W1F 0LA. Entry is free. 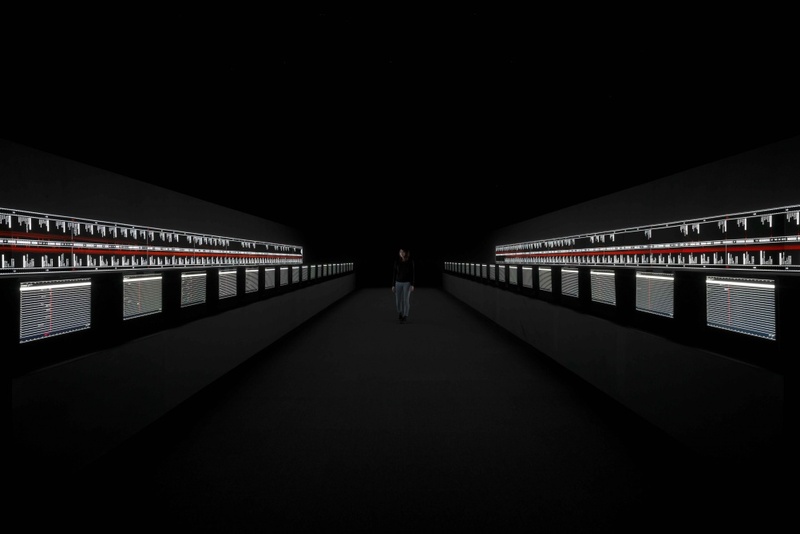 © Ryoji Ikeda. Photo: Ryuichi Maruo. © Ryoji Ikeda. Photo: Ryuichi Maruo. Courtesy: Yamaguchi Centre for Arts and Media.